The longest serving British Police Officer was Supt Richard Jervis Lancashire Constabulary he served 57 years in the police from 1850 to 1907. He joined at 18 and retired at 75 years of age ! He wrote a book called Chronicles of a Victorian Detective (reprinted a few years ago). 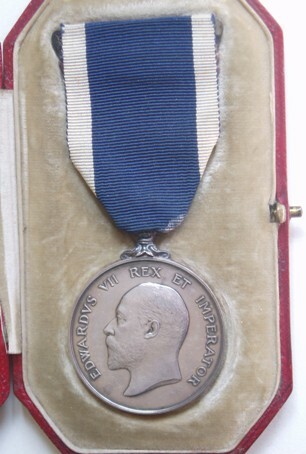 He was also awarded the KPM two years after he retired, but he was ill so he did not receive it until 1911 and he died the day he got the medal. 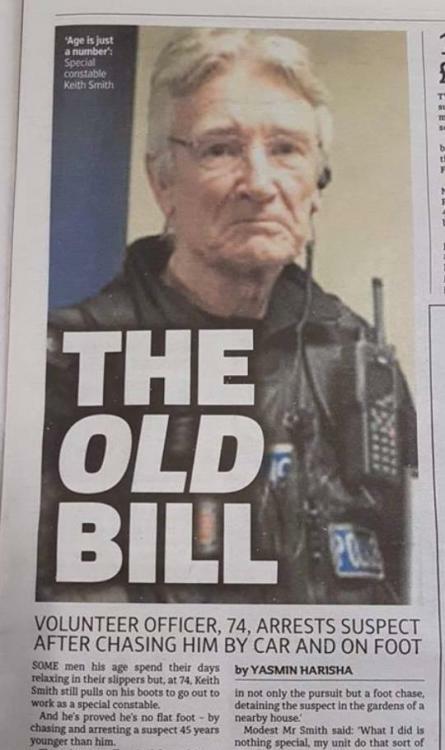 Surely it was George Dixon the poor old bugger was at Dock Green into his 80's and that was after he was killed in " The Blue Lamp "! I have a Special Constables LSGC, to Geoffrey Mccartney Beville, who served in the Kent Constabulary, for 40 years, from it appears 1904 to 1944. I`m in the process of researching him, so far its proved very interesting. It might be of interest to know, that I`ve located an old fella who remembers the guy whose medal I`ve got, he`s in the process of trying to find out more about him for me, also to see if a picture exists, if he has any luck I`ll post my findings. Geoffrey McCarthy Beville, was born in Naini Tai India, the son of Col. C H Beville, Indian Army. He was educated at Bedford and later became a coffee planter in Coorg. In 1923 he married Violet T Russell, the daughter of a local G.P. Sadly Violet was killed during an air raid on the 16th August 1940, when she was out walking her dog on Farley Common, Westerham, the bomb landed close to her car and both Violet and the dog where killed by the blast. This all occurring just yards from her house. Geoffrey remarried in 1948, but sadly his second wife died in 1953. Geoffrey or Bronc as he was known locally was a keen sports man, if not a particularly gifted one playing cricket, golf amongst other sports. He would regularly get bowled out at cricket for a duck, and would always come up with some creditable excuse for this. He served during the Great War In the Mysore and Coorg Rifles, he also served as a Special Constable for 40 years, being involved in the General Strike in 1926, and finally retiring due to ill health on 6th August 1944. Bronc is described by people who knew him as `a rather stern man` and `an odd sort of character`. He died aged 72, in about 1964. "Stop in the name of the law!!! 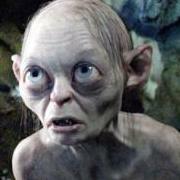 ....or I will run after you and beat you up you young whippersnapper!" Who was the longest serving ever copper in the world? At least.........that's the way it feels right now. How many years you have in now Robin? Unfortunately I don't recall all the details, but when I first moved to the county I live in here in Florida there was an 80-something year old deputy who worked as a court bailiff who was suppossedly the oldest deputy sheriff in Florida. I don't recall how long he had served. On 'paid leave' for the rest of my life! I always think that 30 years in this job is like 60 years in any other. Ah yes - join the rest of we Queens Bad Bargains. Even though you miss the constant adrenalin rush, whenever you think you miss the job - you ponder a bit & then thnk "Nah, well out of it". If the scrotes don't get you the Rubber Heel Squad - sorry, Professional Standards Department / compalints authority or other powerful bodies with no perception of evidence, fairness or real life out there on the streets will........l.
Hey, I sound bitter for someone who never got done for anything - it was just hard keeping it that way. Sorry......but I once wore these rubber heels......many moons ago. Worst job I ever had. I'd guessed you'd have had to - could'nt resist it. What lovely great unique 3R item is lined up waiting for your commutation by the way? There is a story about a P.C who retired a few years ago from The Palace of Westminster. 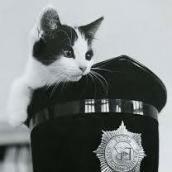 He was a probationer at the Old Cannon Row when they looked after Parliment. One day he was told to stand at point by the Members cloak room. He was never given another posting and spent a very happy 30 years gaurding the members rain coats. Lovely - I could have done with a job like that. I think the closest I got was standing in the rain reserving a parking place for Princess Anne years ago. She ignored me, the SB blokes laughed at me but Capt. Philips was pleasant enough to say thank you - perhaps the mark of an army officer to think of the troops. That about sums me up - can't do anything a no parking bollard can't do. I had the pleasure of sitting in a corridor on my own for 6 hours stopping people entering the charge room in order to try and get Eric Cantonas autograph after his Kung Fu display. Though of course he was treated like everyone else though many a time I've had the charge room door opened for me by a Ch. Supt 2 Supts and 3 CI. He was a nice bloke though shocking dress sense though. I think we should change the name of this site. It shouldn't be 'The Gentleman's Military Interest Club' (or even 'The Gentlemen's Military Interest Club' ). It should be 'The Retired Coppers' Club'. Now that officers are required to work until their 60, it won't be unusual for officers to have 42 years service. It will be interesting to see whether, bars will be issued to police long service medals, along that same lines as that issued in the military? Pretty much ANYBODY who joins up today could be the next contender!!!!! !